Supergroups are odd creatures. They often include an explosive mix of amazing talents, but they are also uniquely threatened by the burden of expectation. Have no fear, though: If you’re coming to new supergroup Crystal Fairy’s debut album expecting the heavy guitar riffs and themes that nightmares are made of, you won’t be disappointed. 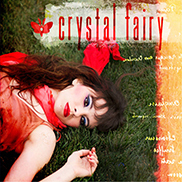 Crystal Fairy is the love child of Teri Gender Bender (the force of nature behind the Mexican garage band Le Butcherettes), guitarist extraordinaire King Buzzo (Melvins, FantÔmas), bassist Omar Rodríguez-LÓpez (The Mars Volta, At the Drive-In), and drummer Dale Crover (Melvins, Altamont). Like many good things, Crystal Fairy started with Bikini Kill, when Gender Bender started joining Melvins onstage at the end of their sets for an ecstatic “Rebel Girl” cover. 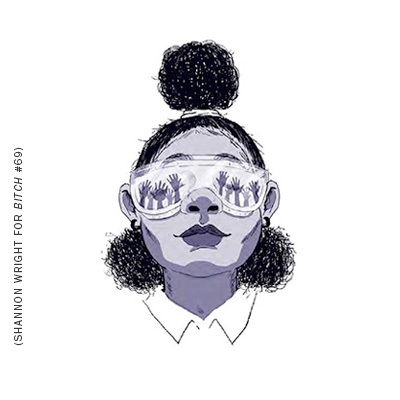 However, this album’s soundscape is a million miles away from that beloved riot grrrl anthem. Crystal Fairy’s metal-infused rhythms grab you by the guts and lay a visceral foundation for Gender Bender’s inimitable, piercing roars. Crystal Fairy is cohesive in its uncompromising aesthetic, but there are two definite highlights. The first arrives with the title track: four minutes of well-crafted vintage psychedelia, swirling guitar solos, and Gender Bender’s unpredictable vocals. “I believe in three sections of the mind,” she whispers, “but if I seal all the pieces they will rise.” Her voice towers in the chorus: “I’m just a man of he/she.” Her defiance is amorphous, but inarguably powerful. Another highlight is a cover of Tales of Terror’s “Possession,” starring a 14-year-old protagonist with a “possessed stereo” that brings “magic spells, messages from hell.” This record would make a perfect horror movie soundtrack, and is, pretty literally, one hell of a debut.